Spring is almost here and it’s time for a change! Our favorite thing to do at the start of spring is to switch things up. We love trying new products, new hairstyles, and new routines. As always, we’ve tried new products and styles to create the perfect list for you. We take spring cleaning very seriously. We recommend going through your makeup, skincare, and hair products and getting rid of anything you haven’t used in the last few months (or year). Not only will this relieve you of clutter but it’s SO important to get rid of expired product. Using expired products can actually be super harmful to your skin and hair. And who doesn’t want an excuse to treat yourself to some new product! Need new product inspo? We’ve got you covered! Now that it’s getting hot and humid the frizz epidemic is out of control. 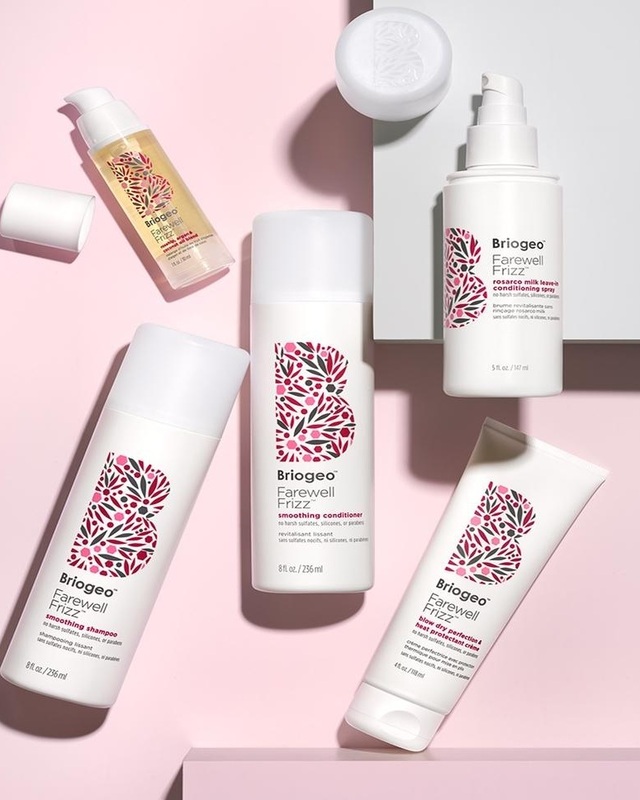 We’re loving Briogeo’s Farewell Frizz Shampoo and Conditioner. It seriously fights against frizz and leaves you with smooth, silky hair. It’s infused with rosehip, argan, and coconut oil so it smells like heaven and the rosehip oil will shield your hair from UV damage! 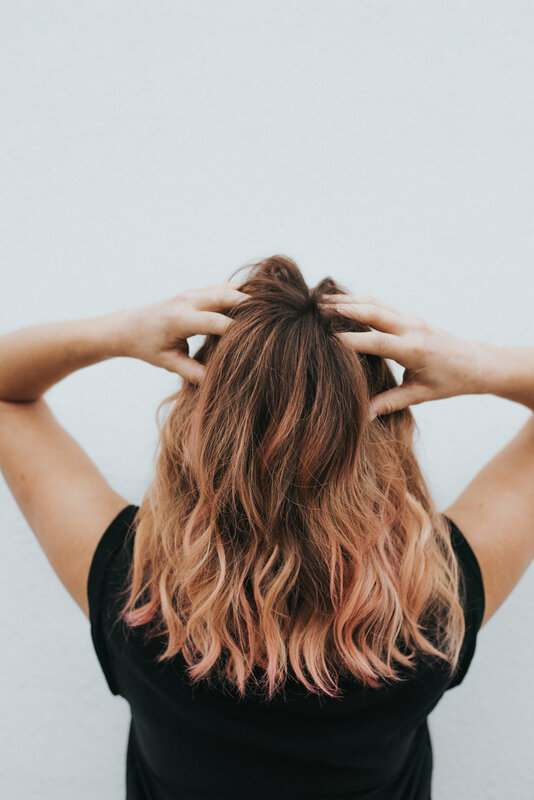 The cold winter months may have left your scalp needing some serious TLC. DpHue’s Apple Cider Vinegar Scalp Scrub is seriously the product you’ve been looking for your whole life. If you’ve ever been on Instagram in your life you’ve heard about the benefits of Apple Cider Vinegar for your body and it has unreal benefits for your hair too! This scrub is made with pink himalayan sea salt to naturally exfoliate your scalp to remove dead skin cells and product residue that clogs your pores. This will calm your scalp and your hair will naturally appear shinier and healthier! 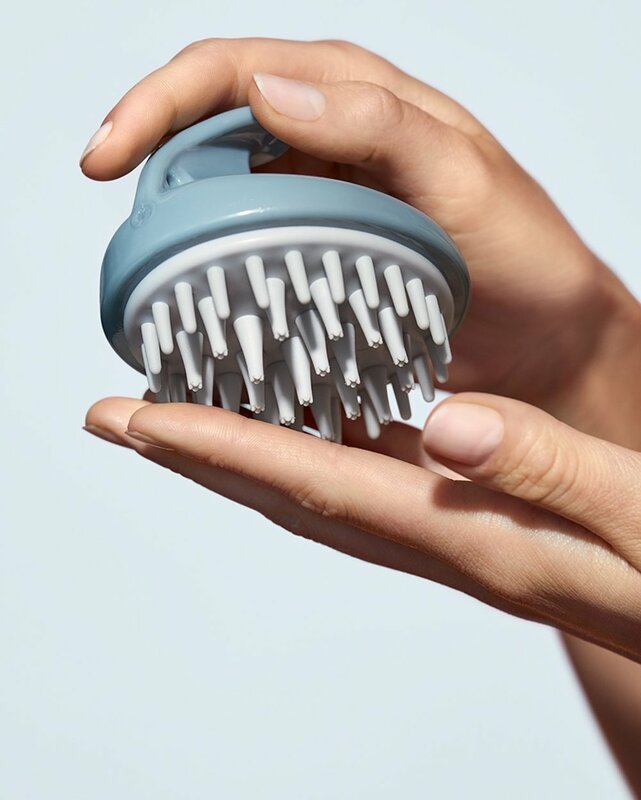 It’s time to say goodbye to the hair brush you’ve had all year. Over time your hairbrush will obviously have old product residue on it that you don’t want to be exposing your clean hair to. We love T3’s Smooth Paddle Brush because it gently detangles your hair and will leave you with a smooth surface ready for styling. It’s made with nylon heat resistant bristles so it’s perfect for styling or just brushing your hair before you run out the door! A healthy scalp is obviously the root of healthy hair. Briogeo’s Scalp Revival is a stimulating therapy massager that improves scalp circulation and overall health. You can use this on dry hair or with your favorite products and gently massage your scalp using small circular motions. It’s perfect to protect against a dry or itchy scalp! We all aspire to have hair that looks like we just got out of the ocean and we have naturally perfect wavy hair, but is that even possible in real life? We love Ouai’s Wave Spray because it’ll enhance the hold of your hair. You can spray it on damp hair so your hair will dry with soft waves or on styled hair to enhance your waves. 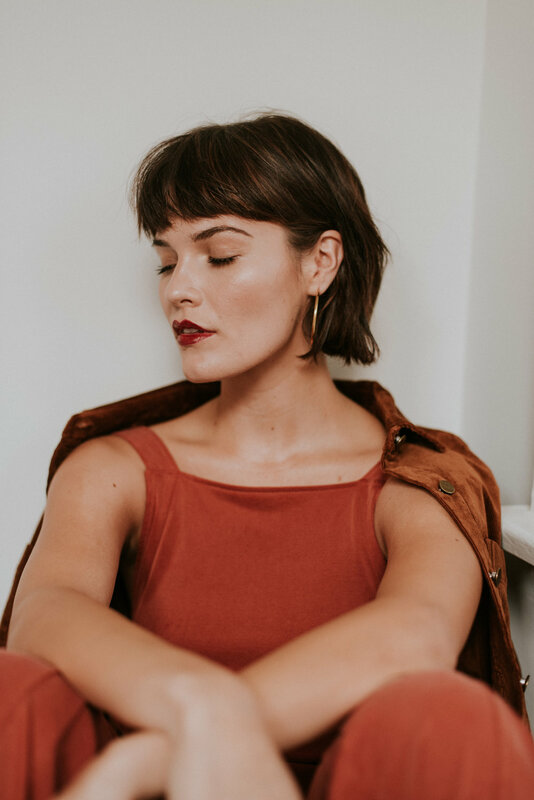 Now that you’ve upped your product game it’s time to get a trim or switch up your look completely! Getting routine haircuts will improve the overall health of your hair but sometimes you want a more dramatic change for the season. We’ve got you covered on the hair inspo too. We love the look of a bob for spring! It’s so easy to manage yet there are so many different ways to style it. Add a pop of color to your hair! We love using our Keracolor to spice up our hair with a subtle hint of color. We used the rose gold Keracolor on this look and we offer pink and purple! Add some dimension to your hair with balayage. We love it because the color is painted onto your hair to create soft and natural dimension in your hair with lightness at the ends. We love balayage because it can brighten up any hair color without the downside of having crazy roots! We’re obsessed with this look from Salty Mane Studio in Santa Monica! Another look we’re loving is wispy front bangs! They're basically like having bangs without the full commitment. You can easily grow them out so they’ll frame your face. We hope you’re as excited for spring as we are! 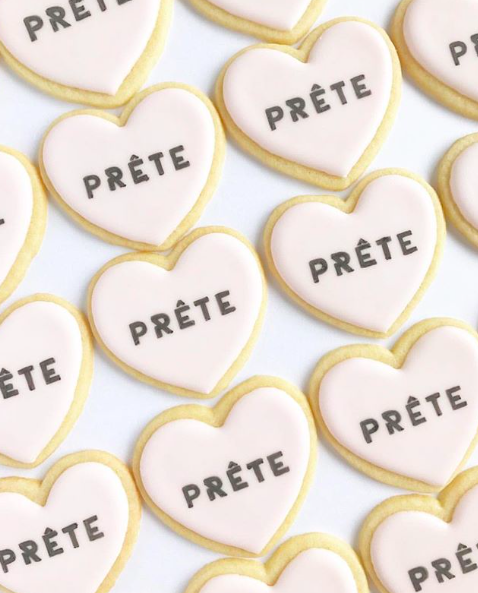 Treat yourself to a blowout with PRÊTE and don’t forget to tag us on Instagram so we can show you some love.